The Sailor's Return, or British Valor Rewarded, S.B. after Edward Young, 1783, Wellcome Library. The Wellcome Library is a new source to me. In their possession are a good number of images, including many historical pieces that are offered for free. Check them out! 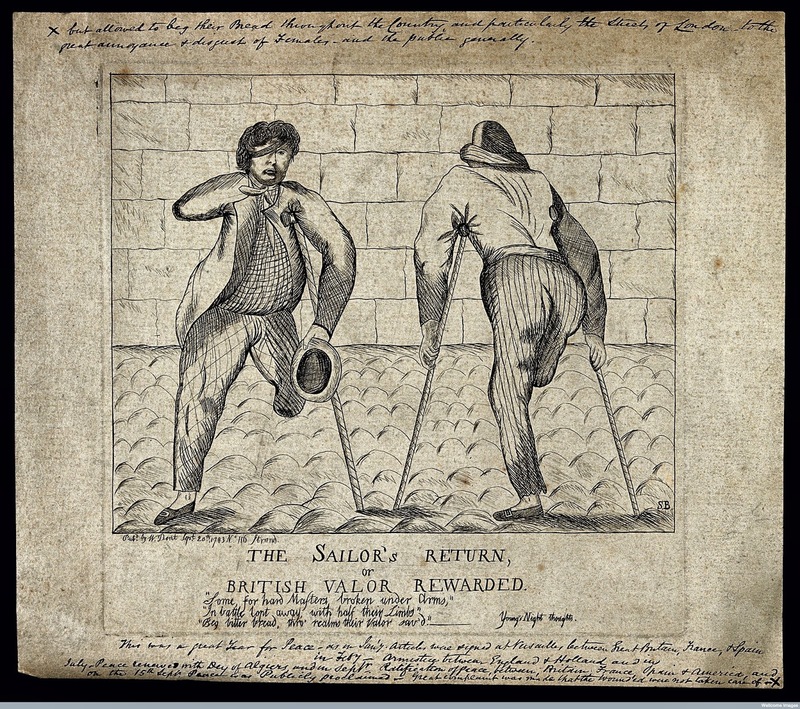 The 1780's saw an increase in prints, cartoons, and paintings that called for more charity toward the unfortunate sailors who suffered for the Crown. This image is no different. Using the title "Sailor's Return" may be an ironic reference to the proliferation of romanticized images of young sailors coming home to their faithful and beautiful wives and sweethearts. No woman is here to greet the crippled tars. Our Jack here wears an odd hat. It may be a tall Dutch cap, or perhaps just a short brimmed round hat with a tall crown. 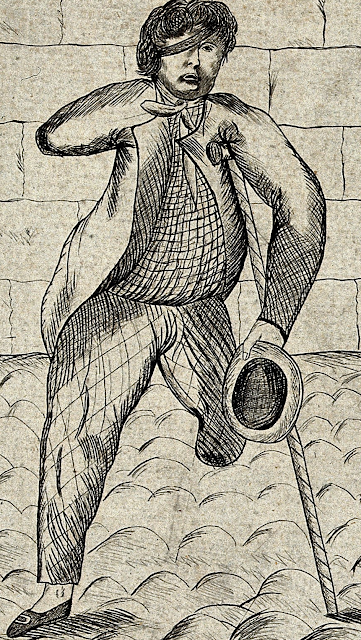 Either way, he wears what appears to be a short jacket (judging by the cut of his cuffs), except that it is tucked into his striped trousers. His mate's clothing is a bit more detailed, though the seaman himself suffers terribly. 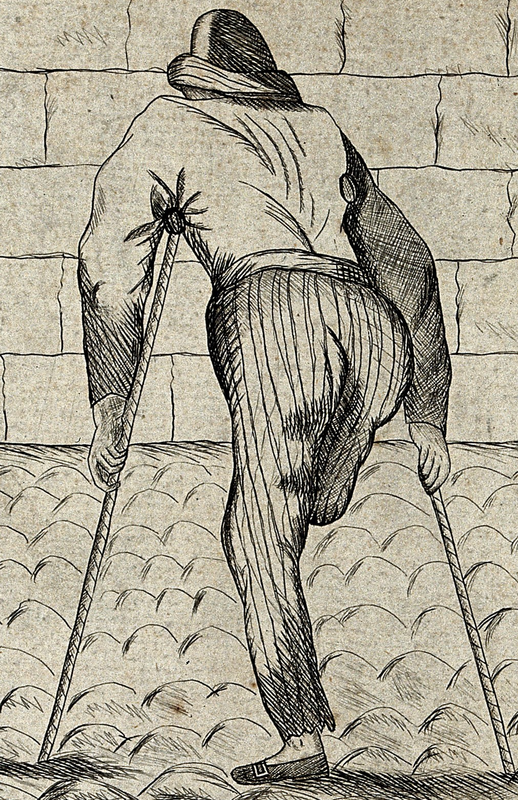 Missing an arm, a leg, and an eye, he hobbles on a single cane with round hat outstretched. The short jacket is without buttons, over a checked shirt which is tucked into a plaid pair of trousers. At his neck is a solid colored neckcloth.